Would it be possible to get from you a load profile / consumption and specs on your system to assist in assessing the size of system we might need. There is an increasing number of off grid home solar packages becoming available. So far I think I’ve been over estimating my needs, placing me in a 3,000 watt system. Sorry for the delay in my reply. My brother and a friend were visiting from Canada and staying in the cabana. Guests can keep you real busy!!! Our system is 2,400 watt and it is huge. Our needs and use are quite small (I don’t have exact stats), and we would probably be able to get by easily on half that size system. We do not have an eletric fridge, but could. If you plan on having a fridge, then I would say do not go smaller that 2,400 watt. Go smaller and plan your system for easy expansion. For exemple, we have a 3,500 watt inverter. This size inverter can handle any system up to 3,500 watt. Therefore, if you start with 1,200 or 2,400 watt (panels and batteries) and wish to expand later on, all you have to do is add panels and/or batteries. Same for you charge controller and other hardware. Install good large ones so that you can expand easily at any time. Where is it that you are planning on living off-grid? Face to solar panels or the west with an inclination of 30 degrees is still 80% of the maximum performance when facing south. The most important factor is to avoid the shadows cast on the solar cells. It will have a significant adverse impact, if trees, overhead lines power poles, or gable roof dormers to the modules to light. The financial benefits of solar systems are primarily dependent on the chosen technology and its components. Some of the many issues affecting the viability of a solar system. 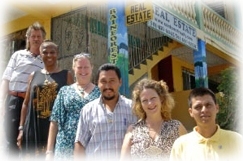 Our experienced consultants are happy to see that you are. A first solar array on the roof of many are electrically interconnected solar cells. The second equipment power grid, which converts the DC output of the solar generator to power and standard line voltage monitoring and exercise functions of maximizing revenues. Third power supply for electricity in the public system where the operator may be liable (to the existing network connections are used for ratings up to 30 kilowatts will be sold without problems). Solar system – the amount of electricity they produce? It depends on the crest of the installed capacity and hence the surface available for the solar panel. Modules with crystalline solar cells produce about 1 kilowatt of peak power for an area of 80-10 square meters. the level of financial investment is another important criterion. not more than the initial capital costs and securing external funding problem more or less even finance solar systems by feed-in tariffs and the system itself is used as collateral for investments. External factors such as humidity and wind damage, lightning, hail or vandalism extremes can have a negative effect on the solar system. All solar systems must be insured, because it is impossible, will reduce the damage will be created .. This service will be offered by specialist insurance companies. Vandalism, theft, operator errors and compensation for loss of yield, if the system is operational, can also be assured. This may be particularly attractive for large systems are funded by third parties. It’s a result of the passion communicated in the post I browsed. 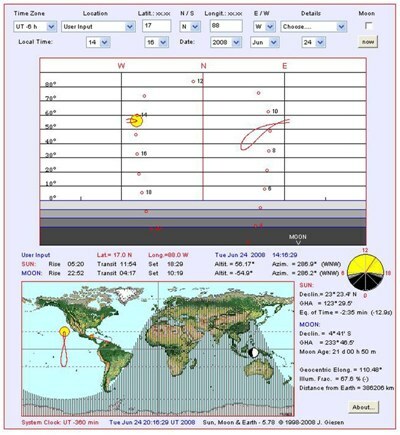 And on this article Solar Panels Placement & Sun Chart Creator | TropiCat’s Blog. Making a sun chart is a good idea. I agree that it can be a useful tool when it comes to Finding out which direction and angle solar panels must face. Knowing which is right position for the solar panels will result in better results. The web site you shared containing these useful tools is one of a kind; thanks!